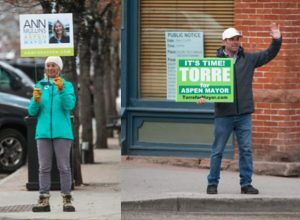 The 2019 city of Aspen municipal election is shaping up to have a five-person mayoral race and four candidates vying for two council seats. 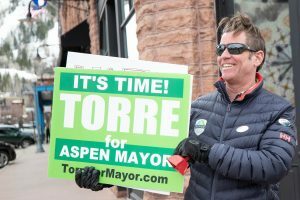 That is if all candidates file their nominating petitions by 5 p.m. today, which is the deadline for those seeking office to turn in signatures from 25 Aspen residents who support their bid for elected office. 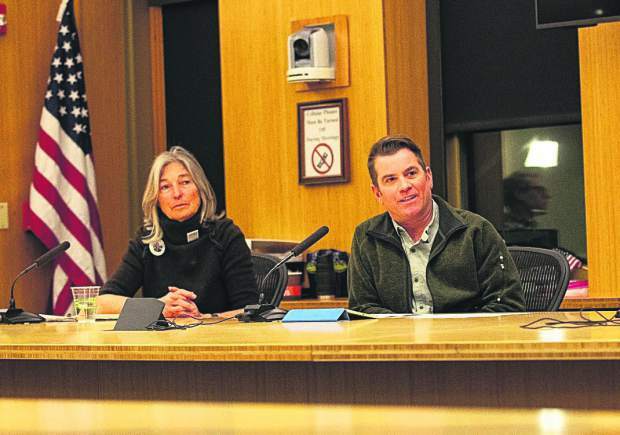 Aspen City Councilwoman Ann Mullins and Councilman Adam Frisch — who are both running for mayor — already have turned their petitions in, according to Nicole Henning, deputy city clerk. Council candidates Linda Manning and Skippy Mesirow have handed over their signatures of support. There are three others who have picked up petitions for mayor but have not turned them in to the clerk’s office — Torre, Cale Mitchell and Paul Kennedy. Rachel Richards and Bert Myrin also have petitions out for a council seat and are expected to turn them in today. Frisch and Myrin’s four-year council terms will be open in the spring. Frisch is finishing out his eighth year on council and is term-limited. Myrin is seeking a second term. Mullins, who is in the middle of her second term, is running for mayor. If she is elected, council will appoint someone to fill her seat. Mayor Steve Skadron will finish his third consecutive, two-year term in June and is term-limited from running again. With that landscape as of Monday, the city council candidate scene will be set by Thursday, which is when Henning is expected to verify the signatures. 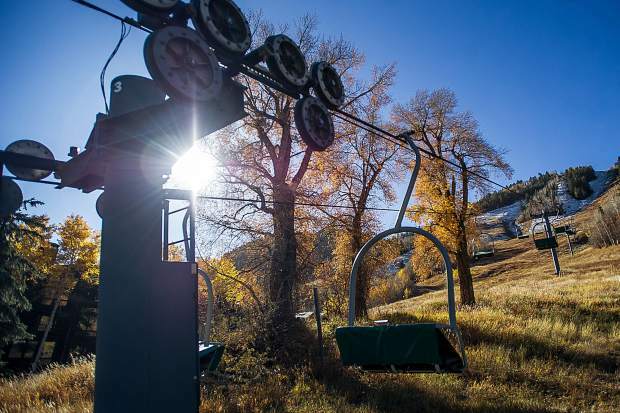 What also could be on the ballot is a question approving a redevelopment proposal for the base of Aspen Mountain’s west side that includes two new lodges, a new telemix chairlift at Dean Street, a ski museum and other amenities. Council has until Jan. 14 to approve for voters an ordinance that lays out the entire project and the city’s role in it, among other details. If that additional development proposal doesn’t make it an unusual municipal election, the date of it certainly does. For the first time in city history, the election will be March 5 (the first Tuesday in March) instead of the first Tuesday of May, which has been the date set forth in the city’s home rule charter, passed in the 1970s. Mesirow, who ran unsuccessfully for a council seat in 2017, was part of a group that put a citizen referendum on this past fall’s ballot proposing to change the date of the city election. 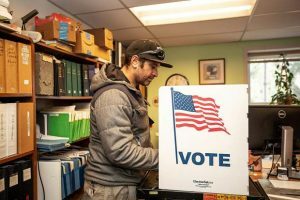 Voters affirmed their position that more participation and turnout is likely when there are more people in town, as opposed to the offseason. Just over 2,400 people voted in the 2017 election, with 1,840 turning out for the runoff. That’s a 40 percent turnout. Henning said the city’s voter registration list has been updated and now counts roughly 5,800 Aspen residents eligible to vote. The new election date challenges candidates to campaign during the height of the winter season, when most professionals and those working in the tourism industry are busy and not necessarily focused on the political sphere of town. Some candidates are veterans at campaigning and will adjust accordingly. 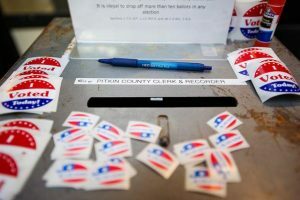 Richards, who is finishing her last term as Pitkin County commissioner, is looking to go back to her early political roots as a council member. She was first elected to Aspen City Council in 1991 and served two terms before being elected mayor in 1999. She lost her second bid in 2001 to the late Helen Klanderud. Richards is term-limited on the board of county commissioners after serving 12 years. Manning is a newcomer to city politics — sort of. As Aspen’s city clerk, she sees municipal government on both sides of the spectrum — the elected board viewpoint, as well as city staff who provide recommendations to council. Manning has stepped down as the city’s election official and will resign from her paid position if she is elected. It’s roughly a $70,000 pay cut if she becomes a council member. Mitchell attempted to run for mayor in 2017 but was disqualified from running for office because he hadn’t lived within city limits for at least one year. Torre has served on council previously, and has unsuccessfully run for mayor and another council seat. The last time he ran for office was 2017. He lost the seat to current councilman Ward Hauenstein in a runoff. In terms of this spring’s election, the runoff date will be moved to April 2, instead of June. Those who are elected will take office in June, when the current incumbents’ terms are up. The newly elected officials will serve their two- and four-year terms through April, shortening their time in office for about two months.